VaporRize™ moisture transfer knit fabrics are lightweight, breathable, and quick-drying, while a combination of stretch, woven, and aero fabrics ensure that you're putting out your top performance. Cold Fabric technology reduces surface temperatures on dark colors without sacrificing style. Three welded, low-profile rear pockets provide ample storage without impeding on airflow over the back. Patent-pending upper torso/arm construction is seamless for impeccable aerodynamics. Cuffless welded sleeve opening construction ensures optimal comfort and enhanced aerodynamics. Pit-stop-enabling design allows for easy nature breaks. Tall sizing offered with additional body length for taller riders. 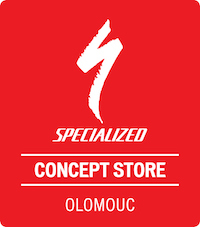 S-Works Body Geometry Chamois represents a revolutionary design for comfort under the hardest of efforts in the saddle. Race Fit provides a next-to-skin feel that enhances the aerodynamic purpose of the suit.